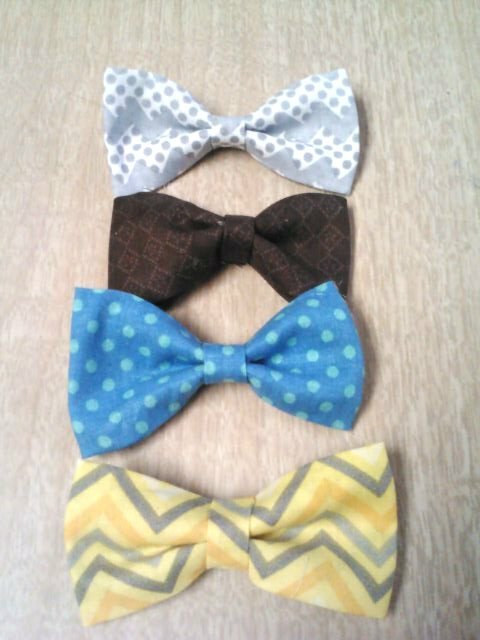 Lil Man Bow Ties – DIY no sew – under 40 cents a piece! Bow ties are the new thing now a days, especially for little boys. When I found out I was expecting a little boy in April, I was so happy! The day I was assured we were having a boy I ran to JoAnn’s and got some fabric. Like RIGHT after the ultra sound. I was a little excited. Okay a lot excited! About a year ago I found a very awesome detailed post on how to make bow ties. I can’t seem to find that post anywhere anymore. I luckily remembered how she made her bow ties and I was able to make these cute bow ties for my lil’ man. I did get the measurements and found this tutorial that was very close to the lady I had found a year ago. I wanted a variety of fabric. So I chose to get fabric quarters.I got them from JoAnn’s. I can’t remember how what the length of the fabric is. Maybe 18×20 inches. Probably somewhere close to that. 1. Cut out your fabric and make it 5 inches long and 9 inches wide. Also cut out a small strip about 3 inches wide and 3 inches long for the middle part of the bow tie. 4. It should be about 1.5 – 2 inches in width. 5. 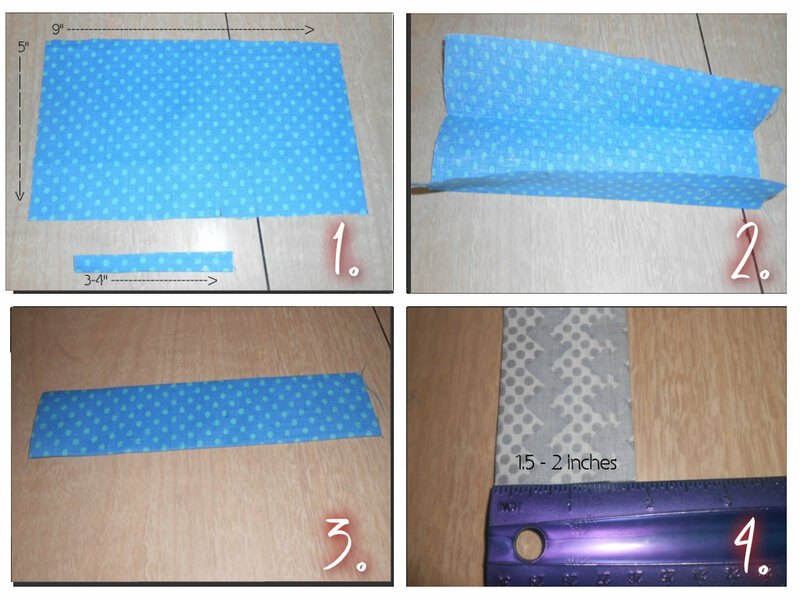 Fold over your 1.5 inch strip of fabric (it use to be your 5×9 inch fabric) on each side. And make a small strip of glue to stick the sides together. Don’t do as much as I did. It will be very hard to fold if you do. 6. The total length should be 3.5 inches, for little boys. This is the size I made for all my bow ties. It seems like the perfect size and isn’t overly huge. 7. 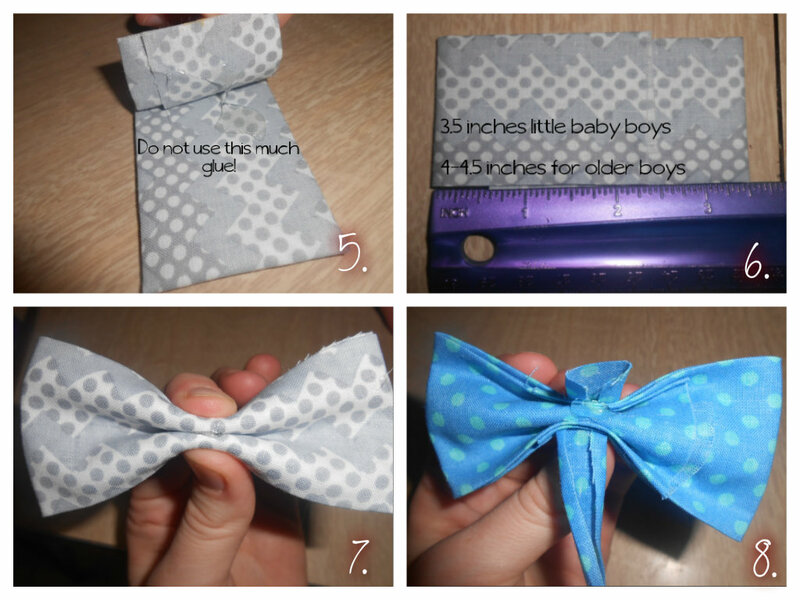 Fold the piece of fabric to look like a bow tie. It’s kind of hard to explain so look at photo #7. Make a small dot of glue in between to hold it together a little better. 8. Get your small strip the bottom of picture #1 of fabric and iron it. This will be the middle part of the bow tie. Glue it together. Make sure you glue the back of the bow tie. You’ll know which side is the back because of the fabric you folded over. 9. Cut the excess fabric off. 10. You should be able to slip a bobby pin through the back of the fabric piece you glued on. 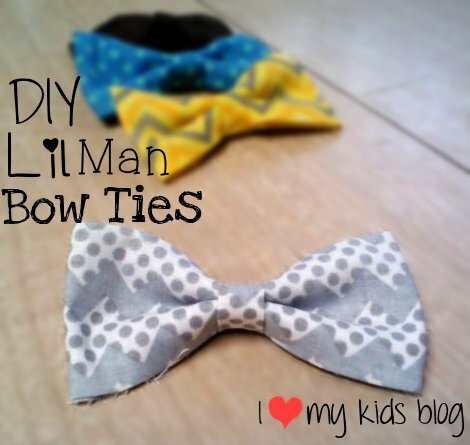 I love these bow ties and they take under 5 minutes to make. They’re so easy and I can’t wait to put one on my sweet boy when he comes. The blue one isn’t very even, but I don’t think you’ll notice once it’s on him. What do you think of the bow ties? « Funny Words Made up by Kids. What Does Your Kid Say?